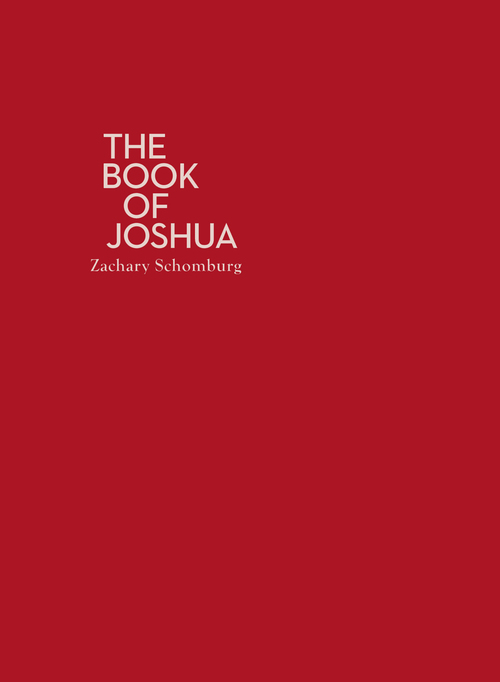 Answer the following for Zach Schomburg’s The Book of Joshua. In “Mars,” the second section of Zach Schomburg’s The Book of Joshua, we see which theme explored? 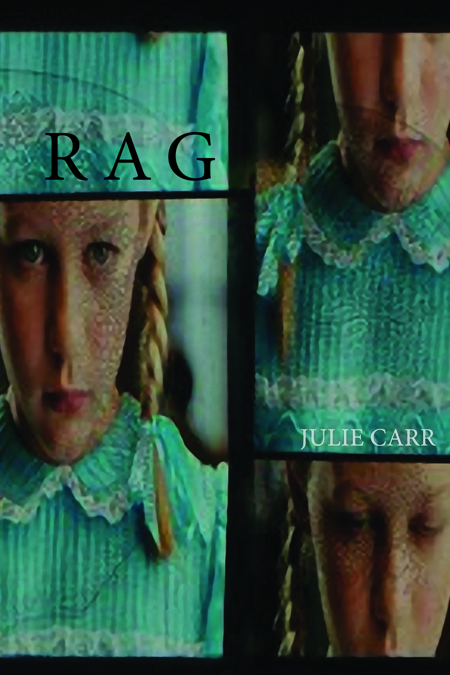 Julie Carr’s fifth book, Rag, is a book characterized more by the way that it looks than what it looks at. Rag is more about the process of contextualization itself than staging a context for the meditations or anecdotes of a cohesive “I” “behind” or “outside of” the text. Carr wants a poetry that is atmospheric—not the dictation of an imaginary I, but rather a glimpse of the network of exchanges that I participates in. As Carr writes in the opening poem, “One’s body is in response” (11). Rag is a book of self-abandon, but not in the terms we usually think. Carr forfeits a cohesive self to see the larger strictures—such as gender, race, narrative, and memory—inside which a self is structured. By relinquishing subjective cohesion, the speaker in Rag becomes extra-narrative. Causality becomes less clear as everything moves from order to contiguity. The poems themselves are mimetic of this entropy as well. Rag moves between pages of fragments, frequently bookended by dashes, to long blocks of prose broken only by the margins. For Carr, the page is a pane of glass. She writes: “Between the law and the living being—the unnamable being with no nation—/ is a point of imbalance, steadied by no home/ Hanging from clouds, intricate environments I will come to miss/ You cannot stop time. Seeking paradise, invent glass” (46). The poems in Rag are a way into, gestures of looking and not things made. The speaker of these poems exists in suspension, moving without destination between the ego and the larger symbolic network that both allows for and forecloses the possibility of its existence. While all this may make the text seem laborious, Rag isn’t forced. Car keeps her philosophical investments while still creating moments of real lyric beauty. There’s something about Rag that feels as if the whole text is something overhead. Rag manages to be haunted by itself. Reading it feels like listening to it on a tape recorder, locked in room with no key. Adam Fell’s second collection, Dear Corporation (H_NGM_N Books, 2013), is written to the gods of the twenty first century, those entities capable of bending the course of history that are simultaneously indifferent to the lives of people who will live through it. Fell’s epistles are survey responses given as manifestos, comment cards in the form of maltov cocktails. Fell uses the corporation to represent everything that isn’t corporeal. Just as the word no longer contains the human body, the corporation Fell addresses is one that has moved past the human experience, and the letters Fell writes could be as easily addressed to Target as the US government. Fell locates himself with people. Fell is like a human submarine sending out waves of noise in the hopes of having someone give him a signal as to where he is. Ultimately, Dear Corporation is a letter asking us to write back. And that’s what I found so successful about this book, it’s willingness to be human, to say anything to get us to connect with it as a human document. Dear Corporation is prosaic. It digresses. It writes vaguely inappropriate postcards. It sings with the radio when it’s drunk. It may, at times, lack artifice, but never art. If Michel Gondry and William Faulkner were to team up and write a book about Cleveland, you might wind up with something akin to Rochelle Hurt’s debut collection The Rusted City (White Pine Press, 2014). Hurt’s collection is about not only a city collapsing in on itself, but also a family. But through its erosion, the city gains a quiet dignity, a kind of aura. Like snow, the rust that covers this city makes everything beautiful, even as it erases it. In the interest of full disclosure, I grew up in the rust belt. I spent the first two decades of my life in Dayton, a city as notable for its lost industry as its contribution to aviation. And maybe this is why Hurt’s collection resonates so well with me. 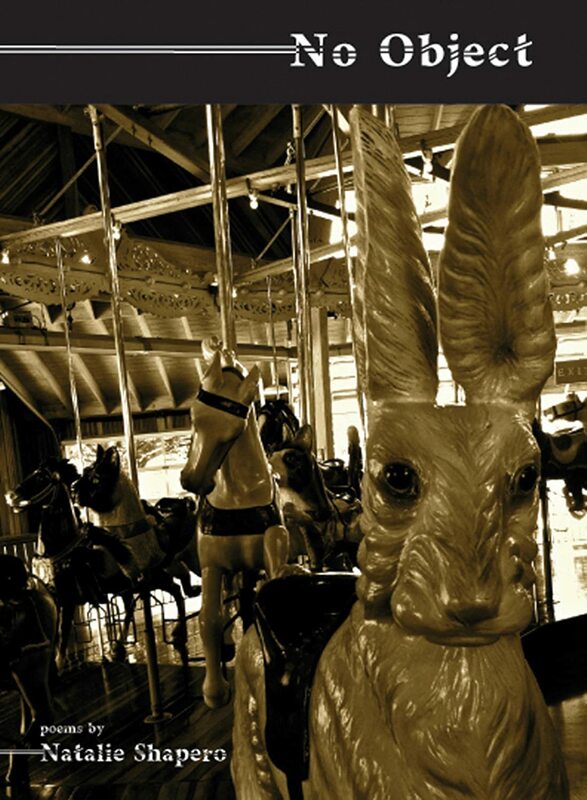 It is a eulogy for places that only become notable once they have lost themselves. During August of last summer, I watched a robustly pregnant Natalie Shapero read from her first book, No Object (Saturnalia Books, 2013), under strands of Christmas-tree lights hung off the fire escape of poet/artists Mel and Pete Burkeet’s apartment. Though I know it’s not true, I remember Shapero dressed in a kind of Hugh Hefnerish get up, but with perfectly circular glasses instead of 80’s Ray-Bans. In particular, I remember her wearing a white captain’s hat with a black plastic brim. I’ve added this detail in hindsight, most likely as a result of having read No Object so many times, a book where Shapero captains more than writes her poems. Three coin-ops and no more. Is this my fault? I’ve taken things too far. The frog ramp was absurdly cantilevered. Perhaps an ever better metaphor than calling Shapero a captain would be to compare her to a drunk driver, careening across a dozen lanes of epistemology yet never getting injured in the accidents she causes. I haven’t been a child in a long time. something on for me while it’s at work. of both. I’ve tacked toward shame. something in the food so they couldn’t get hard. of wishing it, trying to make me settle down. Reading these poems is like trailing a string through a labyrinth with no entrances or exists, like channel surfing on a TV on which each day of your life is broadcast as a separate station, like putting the newspaper through a shredder and trying to read it. and spattered across them devastating fragments. SHOW ME THE STEEP AND THORNY WAY TO HEAVEN. and watched it smoke and shatter. I was the one. What I see as the driving idea behind No Object is the notion that every means of reaching the self are the very same things which prevent one from doing so. What we are left with, then, is language, a body with no object. Shapero’s poems circle around an absent self. And though there is no object at the center, there is the purest kind of sublimity is walking as close to the void as you can. 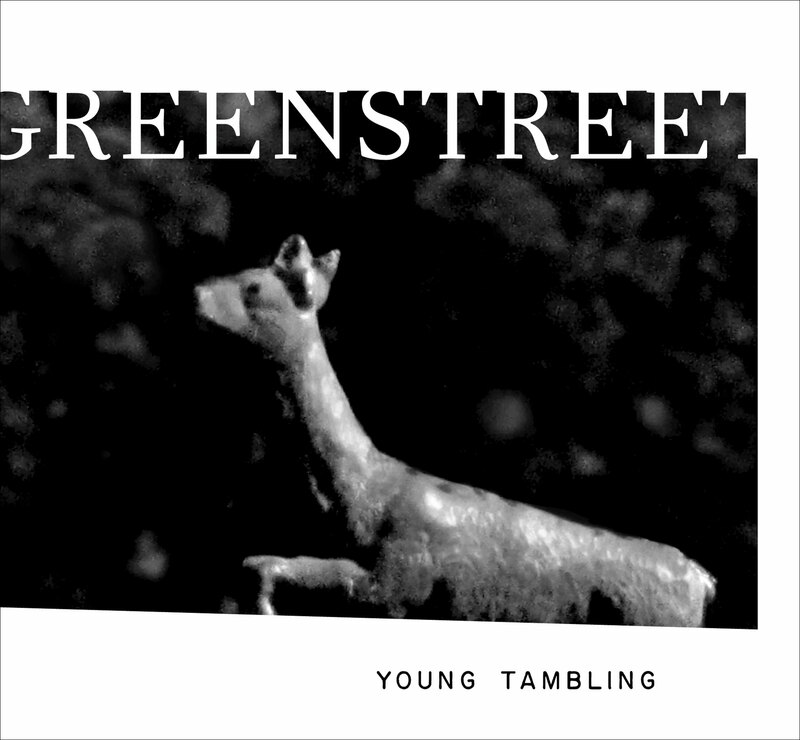 I bought a copy of Kate Greenstreet’s latest, Young Tambling, after hearing her read at the excellent Paging Columbus series run by Hannah Stephenson. On the recto side of the title page is a tracing of Greenstreet’s left hand (I’m assuming). In lieu of signing the book, she traced my hand on the facing title page. The gesture is mimetic of what I see as the Greenstreet’s primary concerns in the text repetition/ doubling, tracing, and the ability/ inability of reifying events as memory. The picture should be looked at. In the dream it’s you and me and a lot of other people. We’re performing a long and complicated vocal piece and I love you in the dream. I think it lasts about…twenty minutes. Then they have to use the hack saws. to get it off. Can we recognize a pattern? In “Narrative” we see the speaker’s growing inability to distinguish between memory and dream and between both of them and language. No ties, no great need. But, as a life can be shaped by rumor, often there’s a brother. Who went away, who is told now: stay out of it. This was the case that night. I knew the door he meant. Help me get out of here. And we’ll go back to being ourselves. He turns off the music. Who I was waiting for. openly, but it’s hard to do. Now that I’m here, I could be anyone. I don’t remember what I was wearing. I shook hands with the men. So. Is that a yes? Some of us have taken off our wigs. Perhaps what is most important characteristic about memory is not what it retains, but rather what has been lost in transfer. Perhaps the creation of self isn’t an inscription, but rather an erasure. Like Lyn Hejinian’s My Life, Young Tambling is less an autobiography of the author and more an ontological exploration of biography (this is not much of an insight on my part—Greenstreet closes the text with a handwritten note that ends with the phrase “not biography but ABOUT biography.”) A good way to think of the text comes in a stanza from “Forbidden”: “A piece of thinking.//And this is where she hears herself” (119). Greenstreet is interested in the act of memory, in memory as a process of making significance, a process of interpretation. Interspersed throughout Young Tambling are a series of black and white paintings by Greenstreet (or at least they are reproduced in the book as black and white). They look slurred, not blurry, but asymmetrical, perhaps decayed—like old film left too long in a basement. The paintings are often composed of amorphous shapes, almost like a Rorschach blot, but sharper edged. If I had to distill Young Tambling down to one statement it would be this—memory is not a photograph, but rather a Rorschach test. Poetry that moves forward by the ellipsis of its lines; this book doesn’t end so much as walk through the void it opens. “Habitualization devours works, clothes, furniture, one’s wife, and the fear of war” wrote Russian critic Victor Shklovsky. In order to prevent this, he asks artists “to increase the difficulty and length of perception.” For Shklovsky, defamiliarization is essential because “art exists that one may recover the sensation of life.” Maybe this explains how Noah Falck’s debut collection, Snowmen Losing Weight, can be simultaneously so surreal and so deeply corporeal. The conversation ends with a sigh. and dreamed of making love to the police. The evenness of Flack’s language delineates a country where everything is happening at once and simultaneity is a kind of meaning. Falck is very much in these poems, both as the person seeing and the person seen. Surrealism then, for Falck, becomes a way of approaching the world, a way of touching it again, like it was still new. Noah Falck’s world is both the world I live in, and the world I wished I lived in. And maybe, that’s what’s most beautiful about the text, that it brings those two a little closer together while still recognizing the essential difference between them.